Checkering on a rifle's wrist; borderless to the rear with no visible run-over; with mullered border at front and base of pistol grip. 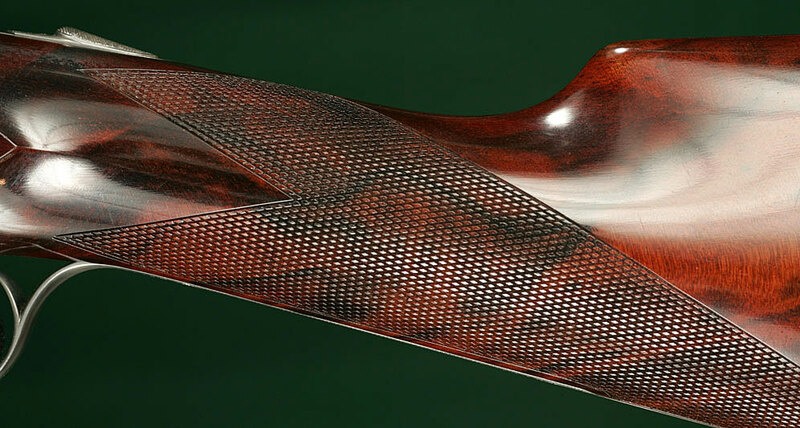 Classic point-pattern checkering wrapping around the underside of a rifle's forend. Traditional English flat-point, borderless checkering on the wrist of a Flli. 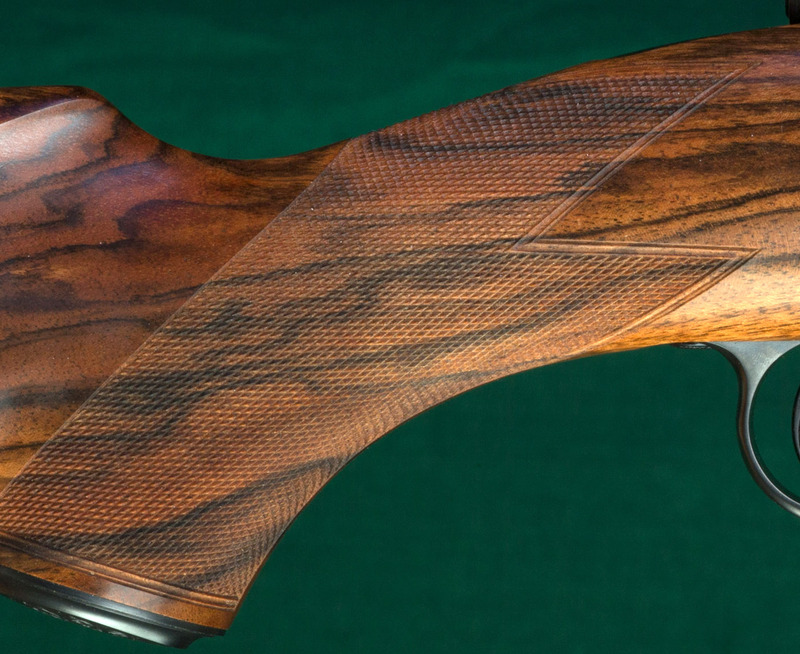 Rizzini shotgun. 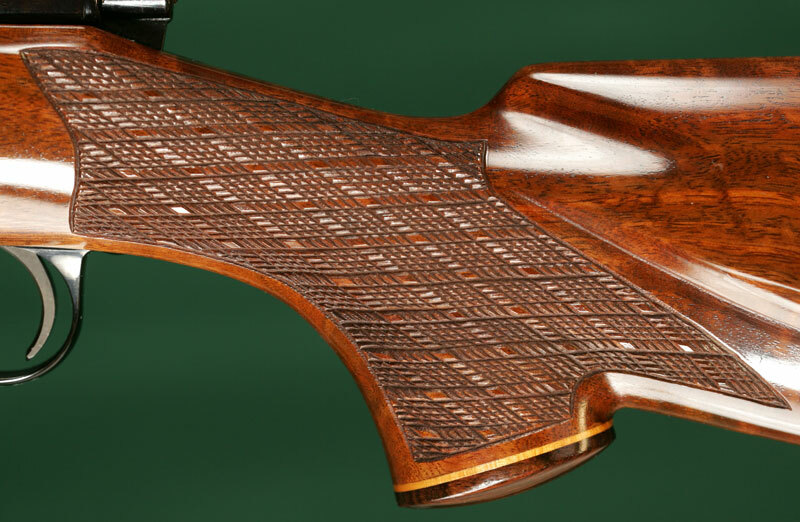 Skip-line checkering, an unfortunate 1950's fashion. 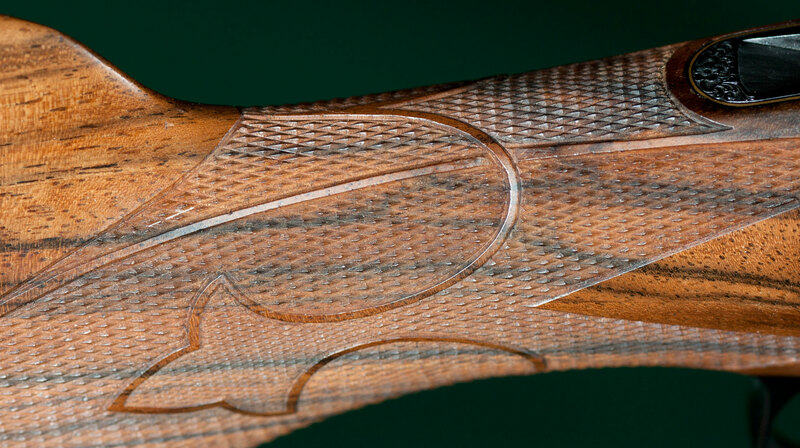 Checkering - A regular pattern of fine grooves cut into the surface of a stock to aid in gripping a gun. 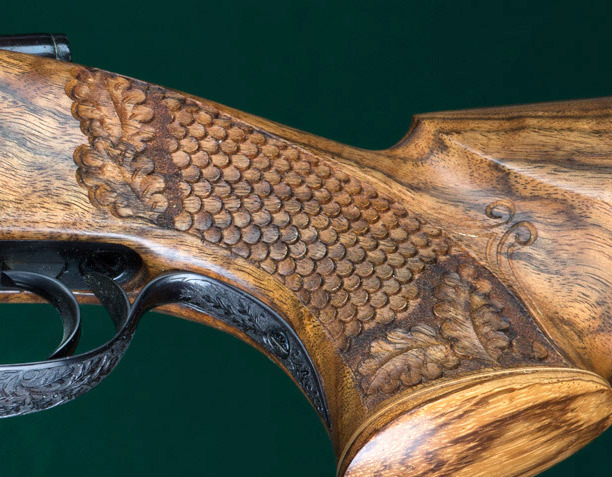 Originally done for utility only, checkering has become an art form in itself; craftsmen adorning the borders with ribbons, fleur-de-lys, floral carving, etc. The amount of coverage, the precise regularity, and the number of lines per inch indicating the quality of the work. Too-fine checkering, however, defeats the purpose of the work altogether. Beyond utility---checkering as an art form in itself. This by modern master Gary Goudy. Or, a German affectation, fish-scale "checkering".